On a recent trip to Tanzania, we had the specific aim of photographing African wildlife from a unique, ground-level perspective. This involved using a remote camera system that could be controlled from a safe distance. We knew that if we placed the camera in the right location we might get some good images, but we didn't bargain on this lioness walking straight up to the camera to check it out! 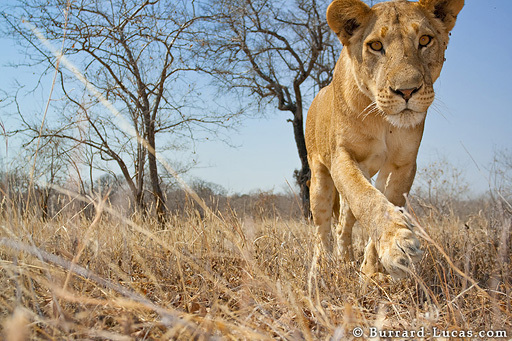 We reckon this photo is about as close as you can get to a wild lion without becoming its next meal!